Bethany Christian School takes seriously its mission to partner with parents to educate, develop and nurture students for a life of Christ-centered excellence in education, Christian character and servant-leadership. That partnership begins with our commitment to offer one of the most affordable tuition rates in the area while providing a Christian education experience focused on strong academics and outstanding enrichment programs. Please contact our office at 626.355.3527 for more information about our tuition and fees. Bethany Christian School offers tuition assistance based on demonstrated financial need. Families interested in applying for tuition assistance are required to complete an online application with FAST-ISM (link below). All information from FAST remains confidential and is reviewed only by the Bethany Christian School Tuition Assistance Committee. 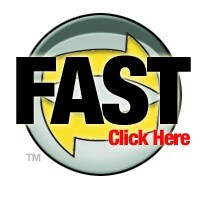 You must apply for tuition assistance each year, using the online FAST application. After completing the online portion, you will need to provide tax documents to FAST for income verification purposes. Please be aware that assessment of your application will not begin until your financial documents are received by FAST. If you have any questions about the FAST application process, a customer service representative is available, 24/7, at the FAST Call Center: 877-326-FAST (3278). A non-refundable application fee of $43 is required, and must be made by Visa, MasterCard, or American Express. (Discover card is not accepted). The application fee will be billed to your credit card under the name of “Independent School Management (ISM)”, the company which provides the FAST application service. When completing the application, please use your name as it appears on your tax return. The online application process is self-guided. You can leave and go back to it at a later date if you are unable to complete it in one sitting. Upon completion of your application you will be given a choice for submitting your tax documents. Make sure you include your bar code with your taxes. If mailing, make sure none of your documents are stapled. Applications without the bar code or containing staples will be put in a pile that will be processed last. Take your time and read all questions carefully as you go through your application. Carelessly filled out applications will affect the outcome of your financial aid award. Send your full tax returns: Federal and all pertinent schedules, State and all W-2’s for each parent. Copyright © Bethany Christian School 2019. All rights reserved.